 Global Livestock Monitoring Market valued approximately USD 408.3 billion in 2017 is anticipated to grow with a healthy growth rate of more than 18.50% over the forecast period 2018-2025. The major drivers of the livestock monitoring market include enhancing size of dairy farms, considerable cost savings related with the livestock monitoring management and increasing focus of major organizations considering the technological advancements along with the new product launches. creatures. In the last stage a learning base would start control activities, or answer to the client, with suggestions for activities. The various factors which includes standardization of software and hardware systems, efficient performance of the software and hardware systems with reduced cost and time related to the livestock monitoring management are primarily driving the market considering the offering segment. The Feeding management application is anticipated to grow with the highest CAGR during the forecasted period of 2016-2023. In the present scenario, the manual management considering the livestock monitoring is time consuming and costly. The Software and hardware solution provide the automatic identification and data collection and data analysis which in turn results into rapid and accurate monitoring of the livestocks. The Key reason for the growth of feeding management application is enhancing adaptability and availability of innovative and emerging feeling technologies which includes dry feeding systems and liquid feeding systems on the global scenario. The regional analysis of Global Livestock Monitoring Market is considered for the key regions such as Asia Pacific, North America, Europe, Latin America and Rest of the World. North America is the leading/significant region across the world in terms of market share. Whereas, owing to the countries such as China, Japan, and India, Asia Pacific region is anticipated to exhibit higher growth rate / CAGR over the forecast period 2018-2025.